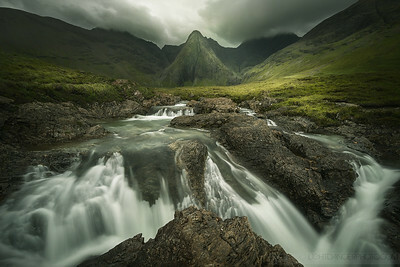 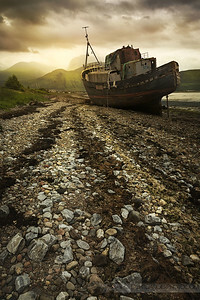 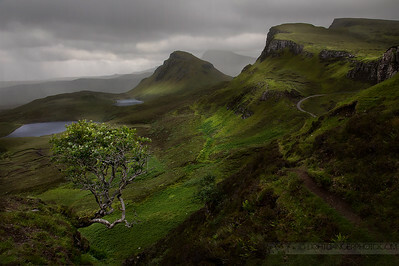 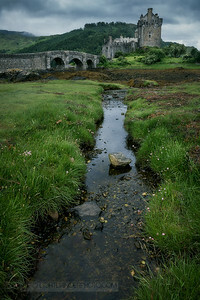 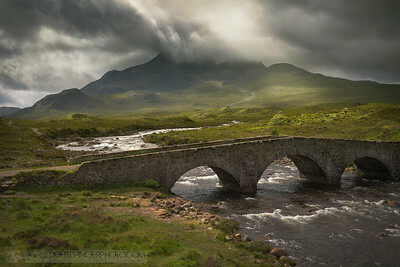 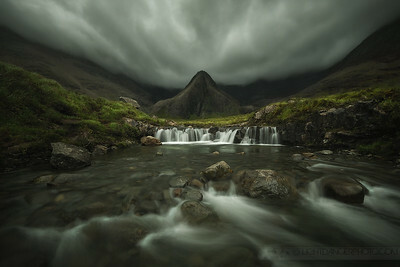 Brooding skies give evidence to the always changing weather on the Isle of Skye in northern Scotland. 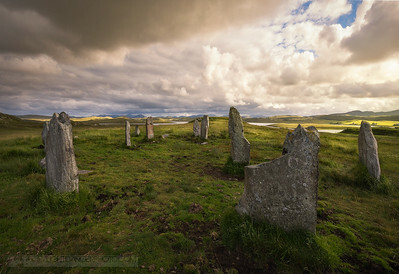 When seen from above, the Callanish standing stones resemble the shape of a Celtic cross and are thought to have been erected sometime between 2900 and 2600 BC. 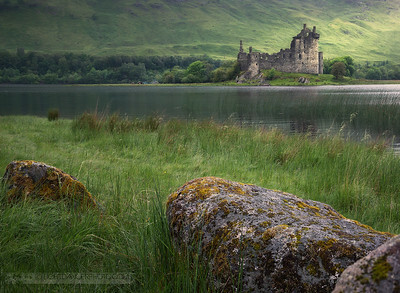 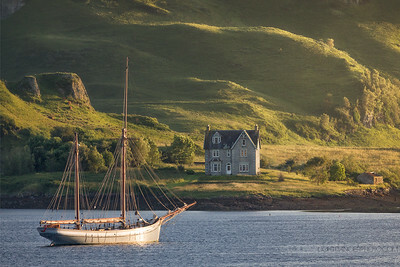 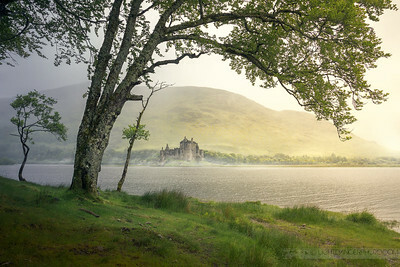 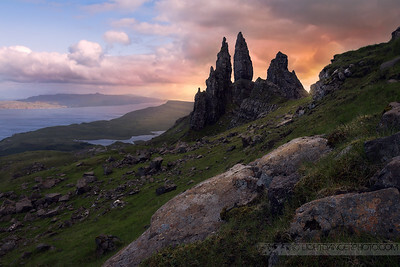 They are located on the Isle of Lewis in the Outer Hebrides of Scotland in the United Kingdom. This is a panoramic image taken at sunset shortly after the summer solstice. 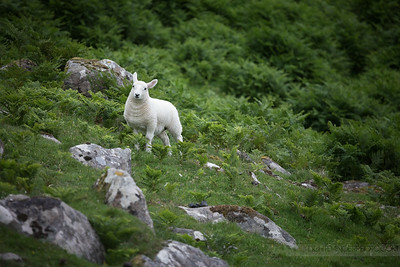 A lamb poses nicely for his portrait near Neist Point lighthouse on the Isle of Skye, Scotland. 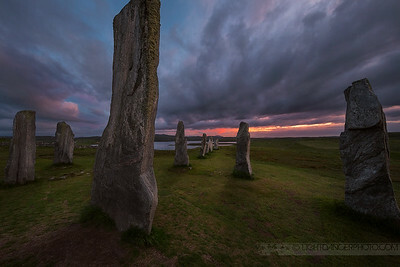 Late afternoon sun breaks through the clouds at one of the megalith sites in Callanish, Scotland. 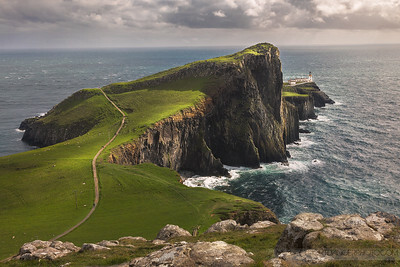 Near the township of Glendale on the Isle of Skye, Neist Point lighthouse was built in 1909 and is one of the most famous lighthouses in Scotland.